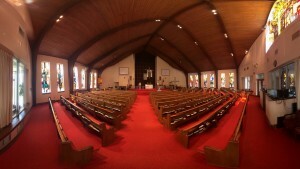 elcome to Holy Nativity Lutheran Church, located in Arbutus, Maryland. Our congregation was founded in April 10,1927 and has been blessed with the grace of the Holy Spirit since then. As a congregational family, we welcome you each and every Sunday to worship with us and hear God’s word. We offer both a Traditional Service and a Contemporary Service, with day care provided during both worship services Sunday morning. In addition to worship times, we offer a number of activities that are open to both the congregation and the community. Some of our outreach activities include Youth Group, Day School, Missions and Outreach, Alcoholics Anonymous, Al anon, Operation Christmas Child, Sunday School, Adult Bible Study, UMBC Chinese Bible Study Group, Prayer Shawl Ministry, and a Book Club, to name just a few. Our activities are not only designed to nourish your spirit, but also to welcome and touch our surrounding community of Arbutus, Baltimore County and beyond through the Grace of God. Please feel free to browse the rest of our site to learn more about what Holy Nativity Lutheran Church has to offer. We personally invite you to visit us soon. The seed was planted here. Sunday School services were held on March 27, 1927, and the first worship service was held on Palm Sunday, April 10, 1927. 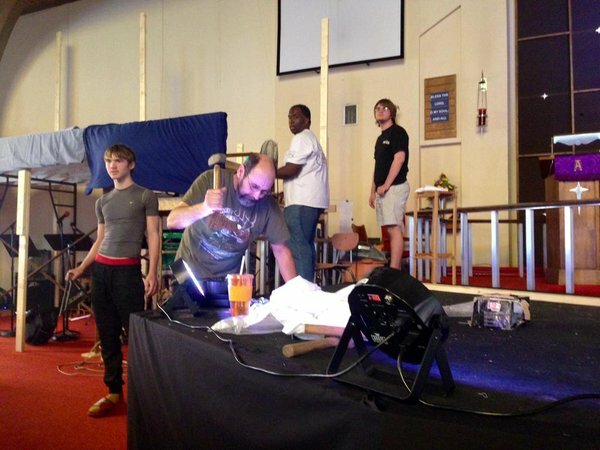 The building and the gruop were both small, both the power of the Holy Spirit was great. Two years later a move was made to Linden and Highview to what was affectionately called the “basement church.” …And we grew, both spiritually and in number. In 1946 we had 88 members, in 1947, 97 members, and in 1950 we had 158 members. On February 12, 1950, a new church building was dedicated. However, our growth showed a need for larger facilities and ground was purchased at Linden and Shelbourne. In 1970 we made plans to build a new house of worship. Membership in 1966 was 498. Groundbreaking was on October 24, 1971. In the fall of 1973 the new house of worship at Linden and Shelbourne was dedicated to the glory of God. 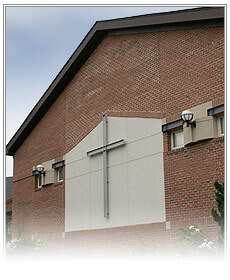 Completed in 2004, our Family Life Center is the newest extension to Holy Nativity Lutheran Church. The center was added to fill our passion to reach out the community and offer and open space to accommodate fellowship and family events. One of the largest open spaces in Arbutus, Maryland, this space is perfect for hosting craft festivals, sport meetings, or any special event. 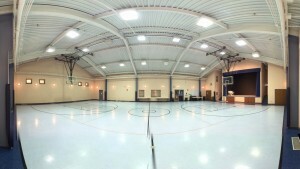 The center houses a full basketball court, a stage, reception space for up to 200 guests, and a kitchen. 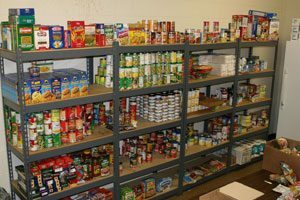 Please note: due to county requirements, any group that utilizes the kitchen area must provide a current license and must be certified by the health department in Baltimore County. Proof of certification is required prior to using or reserving the kitchen area. Please feel free to contact our main office for more information about reserving this space for your next special occasion or to host an event for your organization. We are proud to announce that we have a mix of modern and classic aesthetics. Our sanctuary is a mix of old and new. Starting with the center of our place of worship, we place Christ, the cross and alter, as we would place Christ in the center of our lives. Around the room, the walls tell the story of His life through glass windows that depict scenes from the Bible. Early morning visitors are treated with the sunlight from our two-story-high beautiful stained glass window of Christ and the resurrection. In 2013 we upgraded to Fiber Optic network connection, and every weekend we stream live audio and video from our services. With these upgrades we added Internet connectivity to every room of the church and we have our own server / computer farm. As this website is hosted on site, we also do all video and audio broadcasts. During any service we have four to five volunteers manning the sound board, the video mixer, and the projection system for displaying words for songs. The format of our first or traditional service dates back to the years of the early church. Here the music is accompanied by an electric organ or piano and people sing songs that were written for those instruments. During this service the pastor(s) and elders wear robes. The robe, among other things, helps emphasize the office of the pastor and de-emphasizes the personality of the man in the pulpit. Sometimes it’s hard to be led in worship by an elder or pastor who is a good friend or a peer or even (especially) one who is younger. To help us get over this feeling, the church in general, and the Reformed church in particular, has historically placed special robes on her ministers when they conduct worship. 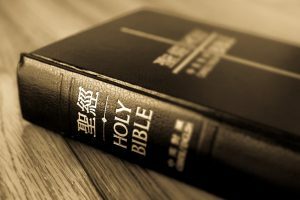 This helps people remember that it is not just a person up there; rather, it is God’s appointed minister leading us into God’s presence and speaking God’s Word to us. You are welcome to come dressed in formal or semi-formal attire and join us for an uplifting worship experience. Our second Sunday morning service, celebration service, hosts a more modern atmosphere. We have a band of musicians that play songs that one would find on Christian radio. The band consists of a drum set, keyboard, bass guitar, electric guitar, acoustic guitar, and additional instruments from week to week. If you have a instrument and feel like playing, let our band leader know. People come dressed in jeans or khakis. This is a relaxed service and we encourage people to clap and stand up to give God praise. 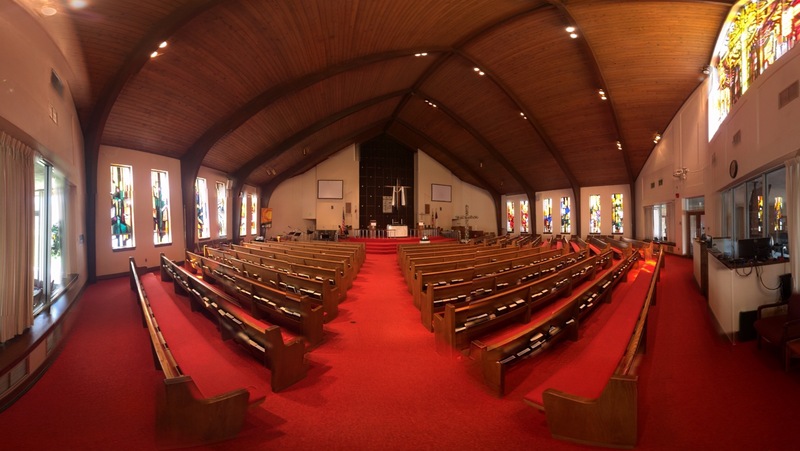 Please contact our Church Secretary if you have a story to tell or pictures related to the history of Holy Nativity Lutheran Church.